The gang at Zen Studios know how to take care of their fans. They are constantly releasing new downloadable tables for Pinball FX2. We’ve seen our share of Marvel-themed tables recently, but Zen has something different up their sleeve this time around. On October 12 players can download the Sorcerer’s Lair table, one that used to be a PS3 Zen Pinball exclusive. We had previously reported that both Sorcerer’s Lair and Paranormal would be coming to Xbox 360 owners, but now we’ve got a firm date for one of them. Hit the jump for the full press release and additional screenshots. Los Angeles, CA – September 29, 2011 – Zen Studios, the definitive leader in pinball videogames, is proud to announce that Sorcerer’s Lair will be available for download on October 12, 2011 for Pinball FX2 on Xbox LIVE® Arcade. Story, theme and design come together in a beautiful blend of fantasy pinball magic in one of the most visually striking tables ever created by Zen Studios. Sorcerer’s Lair features a gothic world of mystery, ghosts and ginormous spiders! Avoid pesky traps, defeat an army of undead skeletons, explore six cellar missions and restore peace to those who reside within the walls of the ancient Citadel as you fight to escape the grasps of the evil Sorcerer. Sorcerer’s Lair will seamlessly integrate into the Pinball FX2 platform on Xbox LIVE® Arcade, with full social feature support. Sorcerer’s Lair will also feature new Achievements, operators menu and rule sheet. Pinball FX2 is published by Microsoft Studios, exclusively for XBLA. Zen Studios is a global producer and digital publisher of interactive entertainment software for all leading game platforms including Microsoft Xbox 360®, PlayStation®3 computer entertainment system, PSP® (PlayStation®Portable) system, Nintendo DS™, Nintendo 3DS, Wii™, and Apple iPhone / iPod Touch. The company is headquartered in Budapest, Hungary with representative offices in California. Zen Studios has worked with some of the largest intellectual properties in the videogame industry, including Capcom’s Street Fighter, Tecmo’s Ninja Gaiden and Marvel Entertainment. Zen’s Pinball FX2 franchise on Xbox LIVE® Arcade is one of the most popular titles on the platform. 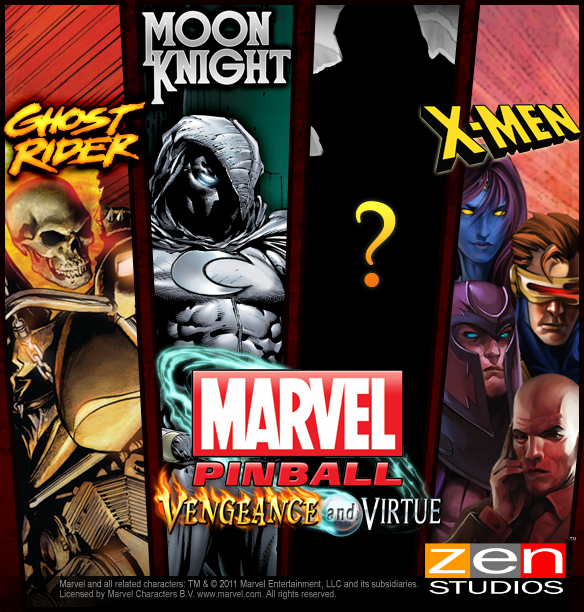 The studio launched Marvel Pinball in December, 2010. For more information about Zen Studios, please visit www.zenstudios.com.